Last year, the Vegas Knights were a new hot shot team in the NHL. They took the momentum from a city that has long been one of the biggest markets without a major sports franchise and turned it into a playoff run that nearly ended in lifting Lord Stanley’s Cup. This year, the Knights are not only projected to return to the post season, but make another serious title run. However, as with all shock-the-world runs, the Knights are liable to fall into the trap of the sophomore slump. Which is to take what was once a promising opportunity at greatness, and see that chance slip away. This is the most telling analogy to describe my feelings on what I think EA’s NHL series is falling into, just a year out from one of its most challenging entries in the series to date. While it’s not uncommon for a lot of sports titles to remain similar from year to year, the lack of innovation from last year’s installment in NHL 19 is astounding for a full-priced sequel. 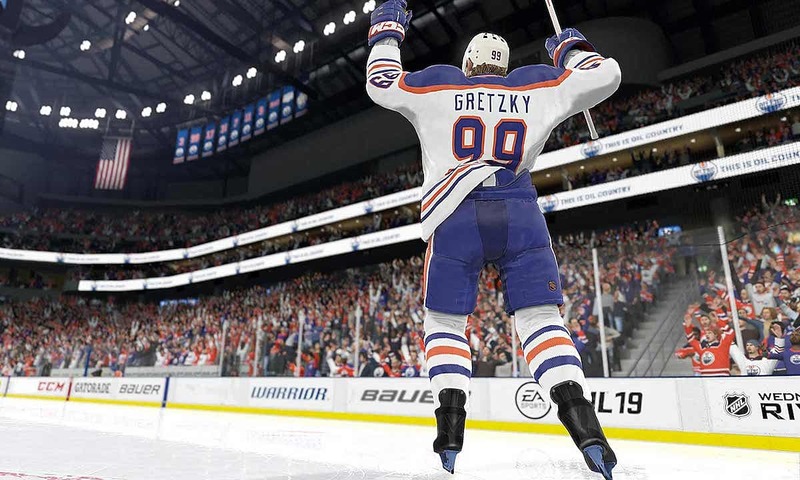 To start, the World of CHEL is the premier mode of NHL 19, and it is being marketed as the progression of the fan-favorite mode EASHL. This mode essentially boils down to the subsets of various other online My Player Modes in other sports games -- except it's stripped back and put into a hockey rink. The mode sees you progressing your player’s attributes through numerous modes, from offline Pro/Am tournaments to online matches. Game types such as 1v1v1 do break up the rather standard experience, although the online modes (which I was unable to really dive into pre-release) are where this mode is going to live and die. What worries me about that fact is that a lot of the customization aspects of the mode are locked away behind loot boxes. This, of course, includes various cosmetic changes that provide a lot of the mode's depth. It also affects classes, traits, and specialties that all have real impact on the on-ice action. As of now, an EA representative talking to Polygon said that it is, “only possible to earn World of CHEL gear by playing the mode.” However, it can’t help but feel like this is a slow erosion of one thing that that NHL series has had to hang its hat on over other sports franchises. The lack of predatory monetization efforts. While it can be forgiven in a way, to lock cosmetics behind loot boxes as a way to fund active development of an online game as a service, putting player progression and real-game, impactful progression behind loot boxes is a mortal sin. This is the standard in various sports franchises, from NBA 2K to Sony’s The Show, and the rest of EA’s own sports titles. This doesn’t really get talked about in the traditional gaming media the way it does for say, Star Wars Battlefront 2 or Shadow of War. So year after year, these manipulative practices fly pretty much under the radar while EA and other companies make boat loads selling loot boxes to teenagers. However, just because sports games aren’t in the traditional “gamers” repertoire doesn’t mean that these exploitative practices should be given a pass. 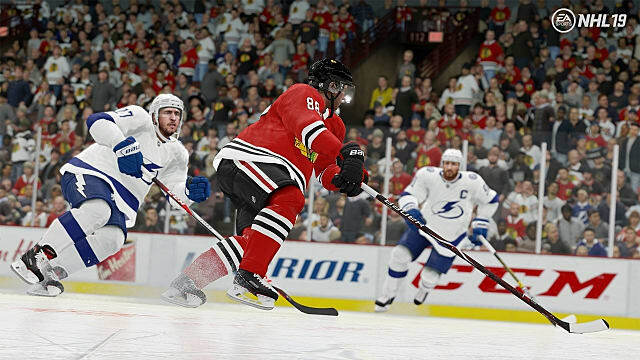 In addition to this looming and problematic factor for NHL 19's flagship mode, the lack of a true story mode has gone from a small oversight in 2016 to a downright problem in today’s sports game landscape. With every sports title under the sun from Madden to FIFA containing some semblance of a story mode, the lack of its inclusion here is incredibly shortsighted. In 2018, this is the sports game equivalent of not including a battle royale mode in a shooter. 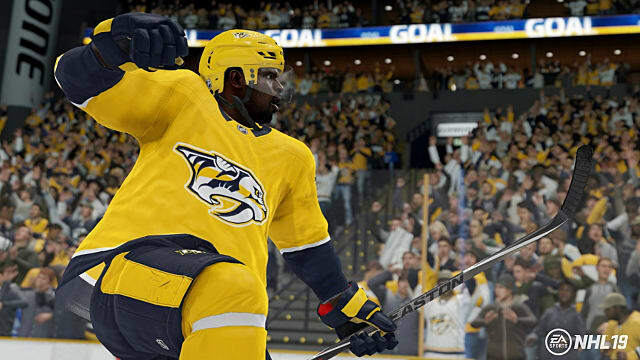 While EA Canada certainly sees the smallest return on its investment on the NHL series, with the sport being the least popular worldwide, it’s no excuse not to invest the extra resources it would take to even put in a passable story mode. This is especially true when EA is clearly setting up more monetization features into a game that, while it has had them in previous years, was one of the least exploitative in the sports game genre. On to the at least something semi-positive, back from last year is the NHL Three’s mode. While not updated in any noticeable way from last year, it is still a blast in local co-op. The nonstop action of 3v3 hockey is undoubtedly fun and adds a level of play that people (maybe) unfamiliar with the intricacies of the game might still find fun and enjoy. With mascots taking the ice as well as fire and ice pucks hurtling toward the net, it’s quiet a unique mode that I wish, in lieu of a story mode, EA had put more effort into. However, the almost NBA Street Vol. 2 campaign of clearing out different cities and unlocking new players is rewarding enough to want to want to play the mode outside of online matches. The one area in which the simplicity of the game plays to its benefit is the game's Seasons mode. Like it sounds, this mode allows you to play through an NHL season with your favorite team. While on one hand this might seem like a simple thing to do, the fact that EA keeps this away from the franchise mode is a nice streamlined choice for those of us who don't want to deal with setting ticket prices before we go out on the ice. On the other hand, if you are the type of player who prefers to decide just how much your team is going to spend in free agency this year, and micromanage every element of running an NHL franchise, this is going to be great for you. The addition of outdoor hockey rinks is a welcomed new aspect to the game, as well. With hockey struggling a bit for popularity in the modern sports world, the Winter Classic game is always one that brings out the best in NHL fandom. It’s a fantastic throwback to young kids skating on frozen ponds, and it brings a sense of youth and innocence into the game. While you can’t quite play in notable Winter Classic locations such as The Big House or Wrigley Field, the inclusion of the customization option is a welcomed advancement that is lacking in the department generally. All in all, NHL 19 isn’t an abhorrent game. All the modes work well enough that it feels like a hockey game that, while not too much improved from last year, is good enough to stand on its own feet. The increasing spotlight being put onto a mode that at any moment could be turned into an exploitative, micro-transaction filled machine worries me, but it’s not enough for me to strip away that passable grade that NHL 19 probably deserves. NHL 19 is hardly an improvement on the traditional hockey formula and opens up some potentially exploitative avenues.